Our veterans are one of our country’s greatest treasures. It is the soldier, the marine, the pilot, and the sailor who has protected us for hundreds of years, and has demonstrated the true meaning of honor. Each American veteran has done what so many of us are not brave enough to attempt—the hardships of war. So many men and women have made the ultimate sacrifice for our country, while many will grow old and experience a life their comrades never saw. Whether old or young, deceased during active duty or after a long life, such men and women deserve appropriate death benefits. One such death benefit is Veteran burial allowances. 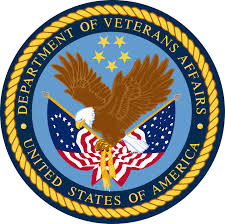 VA burial allowances serve as “partial reimbursements of an eligible veteran’s burial and funeral costs”. Meaning, any United States veteran who has received an honorable discharge from their respective branch of service is entitled to some amount of VA burial allowance. However, VA burial allowances are rarely enough to cover all funeral costs—whether the deceased was active duty or retired—and sometimes the allowance hardly makes a dent in the overall funeral cost, depending on applicable stipulations. For instance, a non-military-related death may receive as little as $300 for funeral expenses and $300 towards plot-internment, while an active duty-related death might be allowed up to $2,000. American veterans deserve better death benefits, and such small allowances can easily leave surviving families looking for more affordable options, while also trying to maintain the dignity and honor that should go hand-in-hand with every veteran funeral. Luckily, an honoring and more affordable option is possible. With the popularity of cremation rising due to being cheaper than in-ground burial, many surviving family members and friends have found solace in choosing the spreading of ashes at sea. Burial at sea is not only cheaper option for surviving families, but also allows the close intimacy and open air of the sea, creating an indescribable setting for laying a loved one to rest. The scattering of ashes at sea is an ideal solution for the heavy expenses of funeral costs, while refusing to sacrifice the respect every veteran deserves, young or old.